Braun is a Vagipreneur® and Managing Partner of SPARK Solutions for Growth. She is the author of Orgasmic Leadership: Profiting from the Coming Surge in Women's Sexual Health and Wellness. 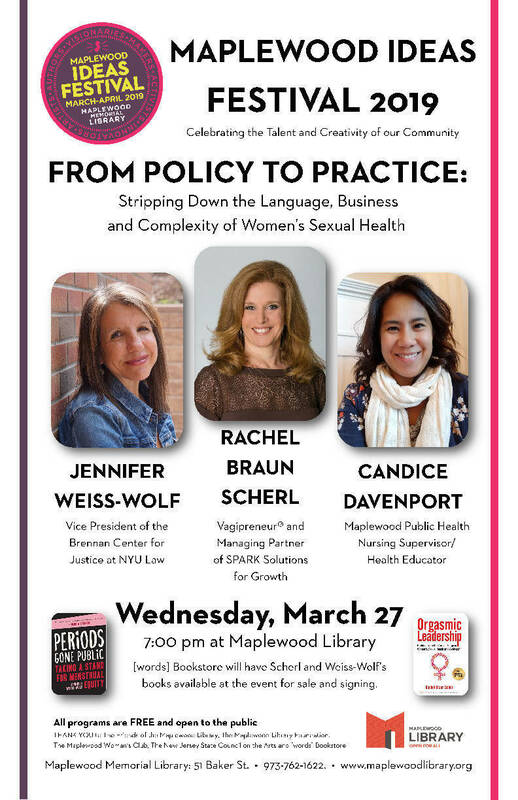 Weiss-Wolf is Vice president of the Brennan Center for Justice at NYU Law and author of Periods Gone Public: Taking a Stand for Menstrual Equity. Davenport is the Maplewood Public Health Nursing Supervisor and Health Educator.